Although a regular winner of The Saturday Review competitions that gave rise to the Week-End Review competitions, Pibwob, unlike other prolific SR winners (Seacape, for one), continued to enter and to win Saturday Review competitions on a regular basis. 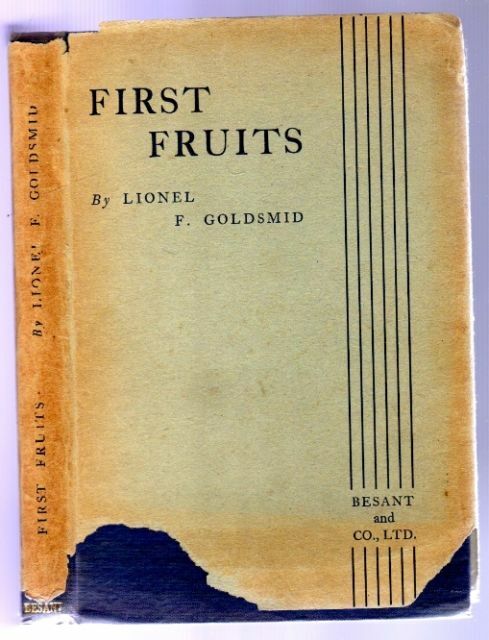 Pibwob’s real name is revealed by a Sussex archive to be Lionel Frederick – it could be Frederic – Goldsmid (presumably part of the large Goldsmid family of Dutch Jewish extraction). He was born in 1881 in Broach, an area of Gujarat in the ‘Bombay Presidency’ – the area of India controlled directly from Britain, which included other territories like Aden). His parents were Frederick Lestock Goldsmid and Emma Blanche Harrison, the former born in India, and the latter in Australia. He had two sisters, Beatrice and Grace Florence Blanche, and the latter never married, but worked as a private tutor. Lionel Goldsmid was a civil servant, and, like his father, he married an Australian, Alison Margarette Dodd – in 1907. His wife was from Melbourne. They had no children. The Goldsmids lived at 30 Cockerton Road in Wandsworth for many years, after living in Clapham. In about 1950, they moved to the Isle of Wight, where they lived in Lane End, Bembridge – having spent at least a year before this in the Melbourne area, where they stayed long enough to find themselves on the electoral roll. The house in the Isle of Wight was originally called ‘Stonehenge’, but later ‘Carranya’. Week-end Review, Saturday Review and New Statesman competitors had a rest from Pibwob’s consistent victories (he was still winning in the 1950s) when he travelled to Australia – as he also did in 1933, returning at about the time the Week-end Review was about to fold). I haven’t found trace of another volume. He died in the Isle of Wight at the age of 82 in 1963, and his wife survived him by seven years. Quite why he chose Pibwob as a name is beyond me!